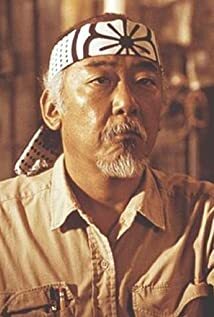 What kid growing up in the '80s or '90s didn't love Pat Morita in his role as Mr. Kesuke Miyagi in The Karate Kid? And later children came to admire him once again as he portrayed the voice the Emperor of China in Disney's Mulan. But what many people might not know about this Academy Award– nominated actor is that he also appeared in an LDS film about a small-town Pinewood Derby competition that gets a little out of hand. Morita plays the role of Ono Yakimoto, a Japanese business tycoon who becomes entangled in the competition. The Mormon world was shocked when they learned Disney—which is considered an obsession more than a company for many Latter-day Saints—was going to carry a Hollywood film about an LDS missionary. Telling the fascinating true story of Elder John H. Groberg, who served in the Tongan islands in the 1950s. Among the stars in this film were none other than Anne Hathaway, who later went on to win acclaim and an Academy, Emmy, Screen Actors Guild, and Golden Globe award.